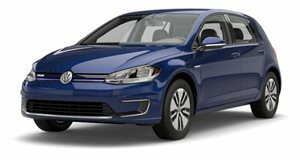 Do Americans hate small cars that much? It’s a well-known fact that Volkswagen is betting the farm on an electric vehicle future. Billions of dollars are being invested in not only the vehicles and their associated technologies but infrastructure as well. The North American market is its main target. But according to the Financial Times, the automaker’s first affordable EV won't be sold in the US or Canada. How come? Because Seat is not sold in either country. Seat, originally a Spanish automaker, serves as the Volkswagen Group’s affordable brand in many parts of Europe. The Seat you see pictured here is the el-Born concept and like VW’s other upcoming EVs, it too will ride on the modular MEB platform. A production-spec version with a 260-mile range is due to go on sale next year. We doubt this platform will be sold in the US because it’ll likely be too small. The production version of the Volkswagen ID hatchback, also built on the MEB architecture, will be around the size of the VW Golf. A concept version of Seat’s new and affordable EV has yet to debut but it’d be a fair assumption its general styling will closely resemble that of the el-Born. Over the past few years, Seat’s design language has taken off and some assert is even better than Volkswagen’s. Seat remains critical to VW Group’s strategy to move over one million electric cars annually by 2025. Having an affordable model courtesy of one of the best-looking brands is definitely the right course of action. It’s just too bad Seat has no future in North America.